nationalrail.co.uk for times/fares for all rail networks and routes. nationalrail.co.uk/ldb/ to see a live departures board of all departures/arrivals for the next couple of hours. 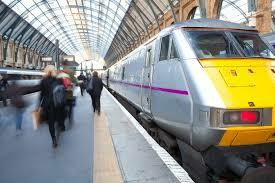 Taxis –traintaxi.co.uk is a useful site that offers up to date numbers for taxi firms at each UK rail station. London Underground – tfl.gov.uk provides information on the London Tubes, buses, Docklands Light Railway, Croydon Tramlink and the congestion charge. Buses – traveline.org.uk provides local bus times across the UK. Bikes – head to atob.org.uk/bike-rail/ for info on each train operator’s policy on bikes.